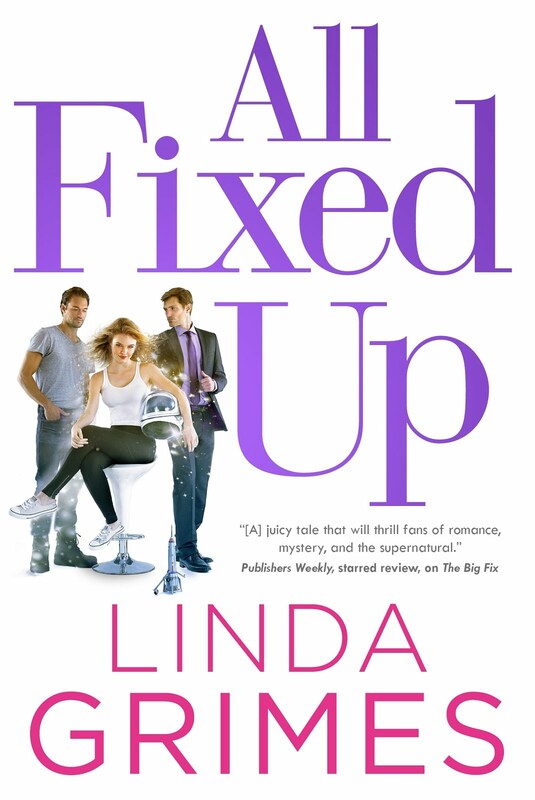 And book 2, Quick Fix, is already in the talented hands of my editor, The Amazing Mel (Melissa Frain) at Tor. I have complete faith in her ability to whip that sucker into shape before it's release next summer. It's book 3 that's been giving me fits until recently (like yesterday). For some godawful, unknown reason--possibly a touch of writing OCD--I can never seem to get a good start on a WIP (work in progress, for you non-writers) until I have a working title that I like. Which is really kind of silly, because there's never any guarantee a publisher will let you keep the title. They may have their own ideas about what constitutes a title that will, yannoh, sell the book. 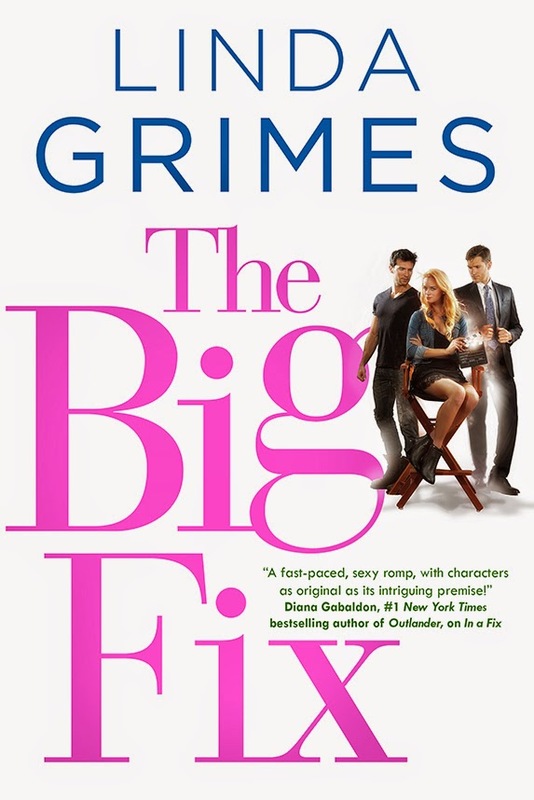 Now, I was lucky, because Tor decided they liked In a Fix as a title for book 1, and I'm pretty sure they're going with Quick Fix for book 2. Which is cool, because I would probably never be able to think of them any other way, and it would get awkward if I called them one thing while everyone else called them something else. But there's no guarantee they'll go with my title for book 3. But back to my little OCD problem: I just couldn't commit to a title in my head. I knew I wanted it to contain the word "fix," of course, for series continuity. And I do have a ton of possible "fix" titles for future books (yes, I am very optimistic about the series going on for a while), but I also need the title to fit the plot of the specific book. And none of the ones I have in reserve were really doing it for me. Which will work nicely, I think, with the overall plot of the book. And when I showed it to TG, he said, "Yes! I love it! It's kickass." So there's that about it. "It's not that I'm averse to holding on to something long and cylindrical, even if it does wiggle a bit. But when it hisses at me, I get nervous." * Tentative because these things always tend to change as I write the book. Who knows what it might morph into before I'm done? But it's a start. Something that will give me writing momentum, which is the important thing at this stage. So, if you're a writer, how important is it for you to have a working title you like? Whether or not you're a writer, is there anything you're a little OCD about? Holy crap what a great opener! And a FAB-U-LOUS title. TG's right, it is kickass. I'm back to the blogosphere. Stop by, I'm giving away my "other" book. You might like it. Love your titles and opening for number three. Yeah, I get a little hung up on titles, too, but that's only because they matter so much. They set the tone, and provide a tangible platform to build the book on and tie everything together. So, it's difficult to start building until after that platform is lain. i just name my WIPs something generic because i'm not very good with titles and i know they tend to change around a lot, so i'd prefer not to fall in love with one only to have it taken away from me. character names on the other hand, those i'm OCD about, which is frustrating because i'm horrible with character names! I have to have a title first, too. Like the title, but LOVE the opening line! Don't change it unless it's an absolute must. Your opening line made me spit out my coffee! Oh my gosh, that is SO you! I'm a little like you! I don't make much progress until I have a tentative title. I can even think of a project I started three times. I always identified the problem with attempts #1 and #2 as something character related, but now that you mention it, I changed the title in attempt #3 to something I liked much better -- and never looked back! Great title! And I love the opening lines. I'm exactly the opposite. I can't even think about a title until I'm at least half finished writing the book (my WIPs have temporary names like "AK-6"). But I also can't finish the beginning until I've finished writing the end... and I never quite know how the story is going to end until I get there. Having read the ARC for In A Fix I want more of Ciel's world, too. Hope it is a very long series. I always seem to be missing something when I write. I have a natural tendency to make things harder than they have to be. The last book I finished I still don't have a timeline. Going to have to go back in and put that in. My current work in progress has a timeline and a setting but no title. So far it's not stopping me even though it is fairly annoying. good luck with book 3 and here's to hoping it sells! I'm so much happier writing when I have a title and an ending. Very exciting about your book! Perfect title. I hope they don't even suggest changing. Great opening lines too. I'm hooked already. I Love "Fix It Till It Breaks"! Because it sounds kind of dirty! lol you know me, Linda! I am OCD about posting on my blog once a week, although, as you can imagine, it's been tough lately. Plan to pre-order your book next pay-day. So proud of you!! No, I'm not OCD about it. "Untitled 7" needs love too, right? Great title, and your first line made me laugh. Love the title! Love the opening line! Can't wait to read it--now get busy.